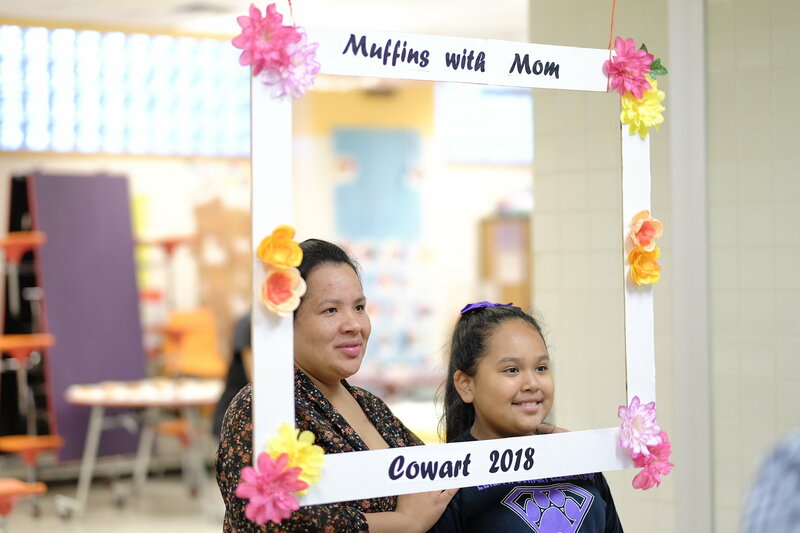 Families at Cowart Elementary School celebrated Mother’s Day with a special “Muffins with Mom” event. 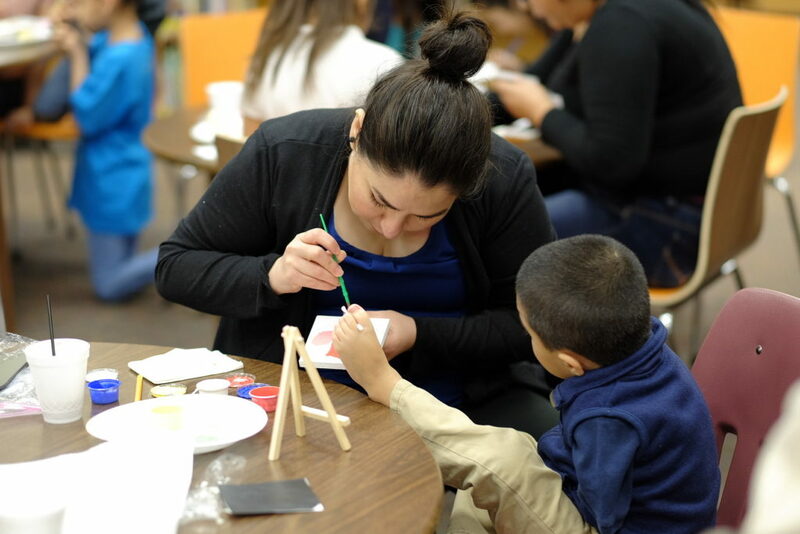 Big Thought teaching artist Jennifer Kindert led an art activity for moms and their students. 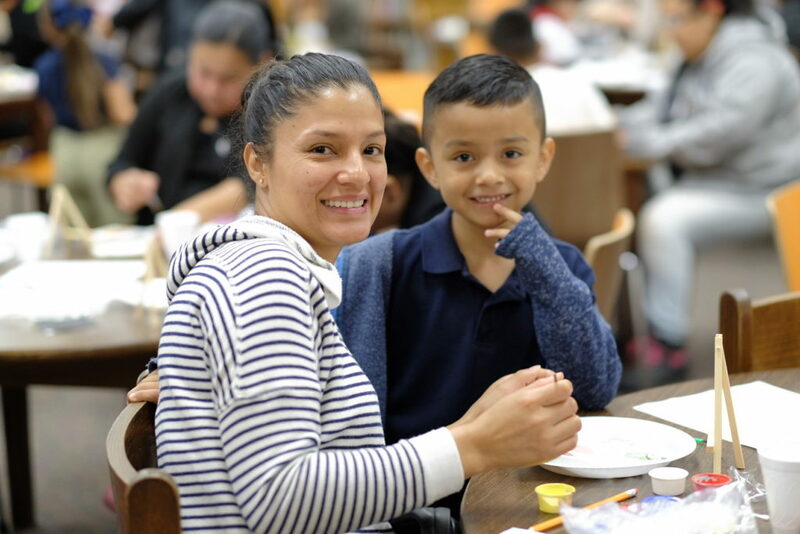 Together, they painted a beautiful bouquet of tulips and enjoyed a delicious breakfast before school started. 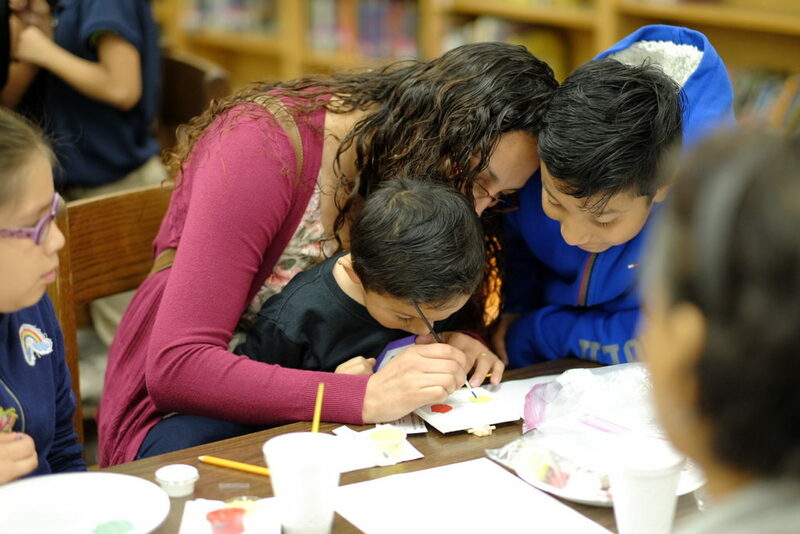 Click here to view more pictures from the Cowart Elementary “Muffins with Mom” event. 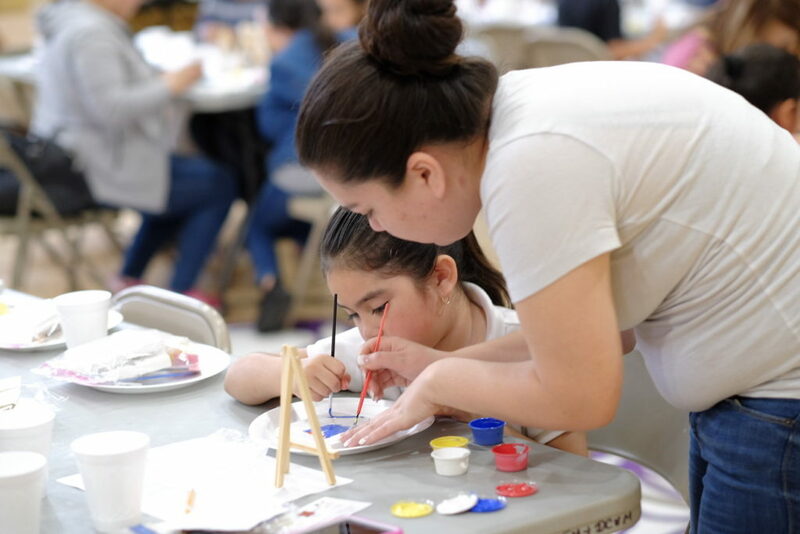 Launched in October 2000 by the Afterschool Alliance, Lights On Afterschool is the only nationwide event with a special focus on afterschool programs and their important role in the lives of children, families and the neighborhoods where we serve. 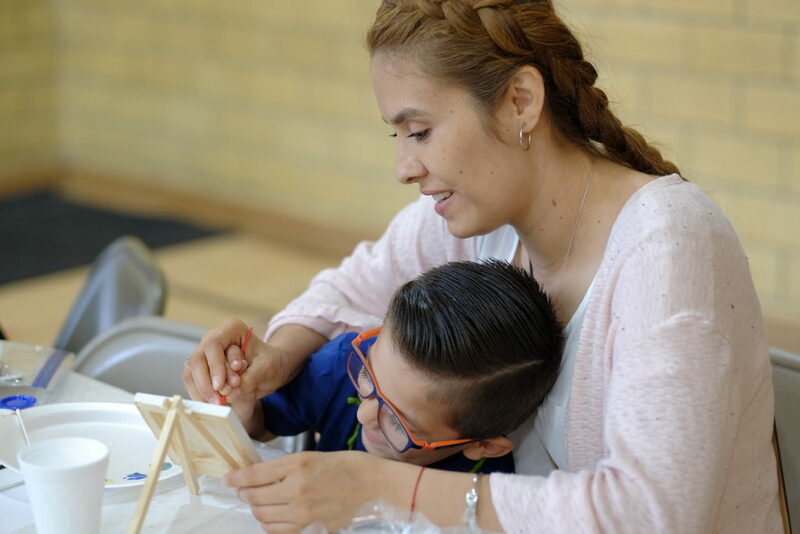 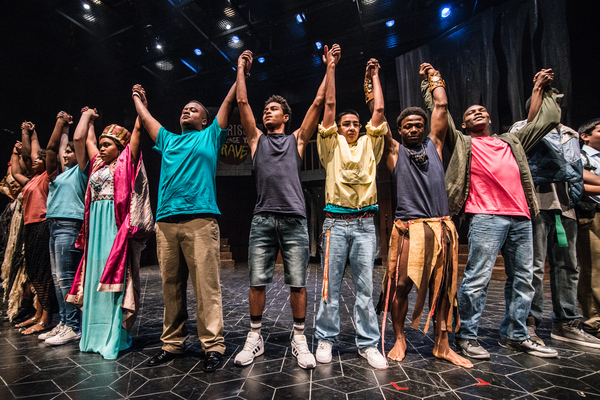 Big Thought Teaching History: 16 years, incorporating Learning Partners, Creative Solutions, Make a Connection Through Art programs. 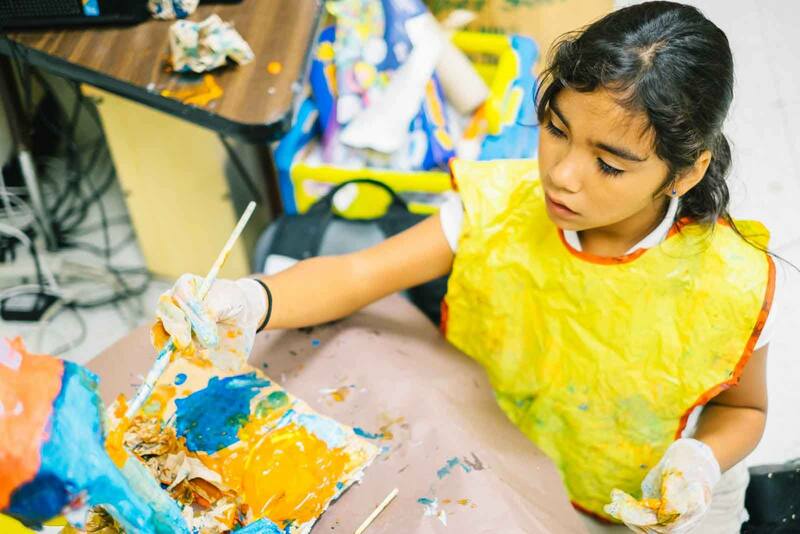 Now Creative Solutions, including the summer program at Southern Methodist University and other CS assignments. 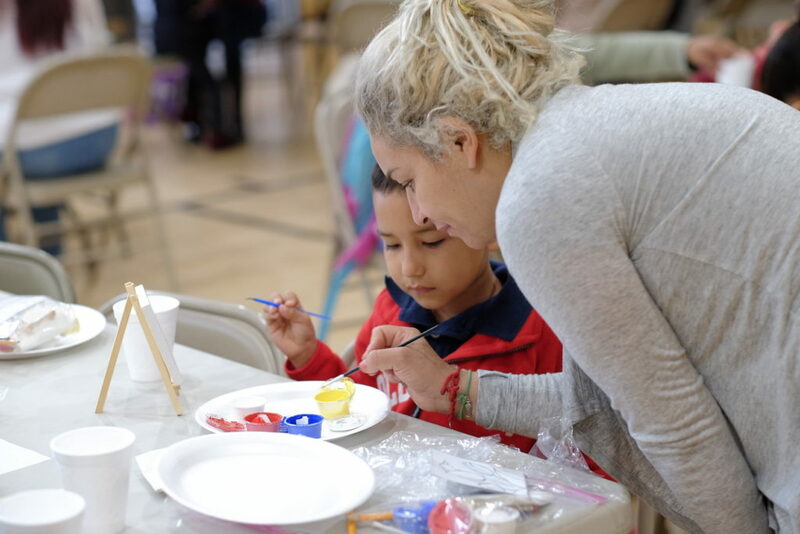 Education: Bachelor of Arts in Art from Montana State University. 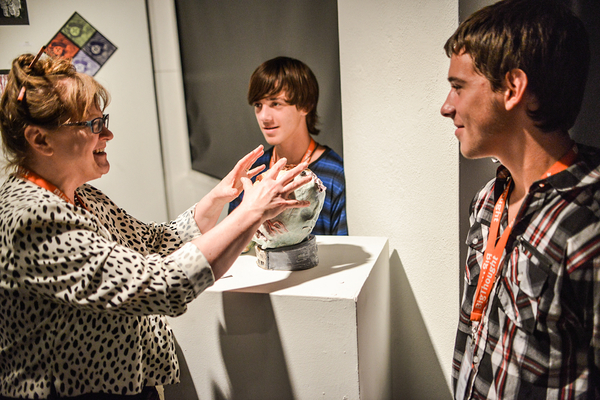 Photo: Holly Lapinski imparts her knowledge of art with two students at an art exhibit. 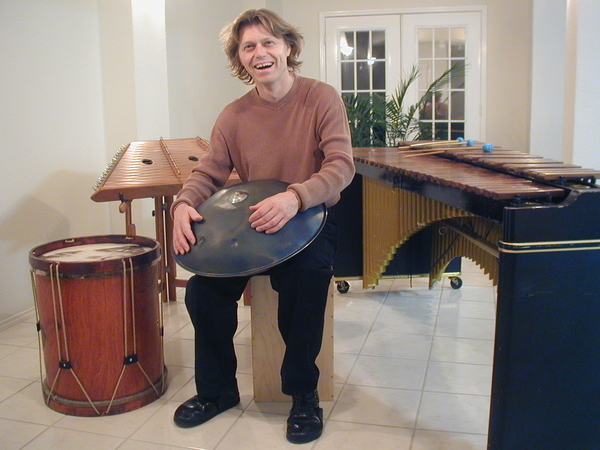 Teaching Specialty: Percussionist – Marimba, Hammered Dulcimer, Snare Drum, Handpan, Timpani. 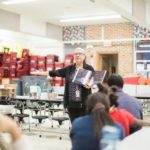 Big Thought Teaching History: Mark Shelton has been a Big Thought teaching artist since 1987, when the organization was christened as Young Audiences of North Texas. 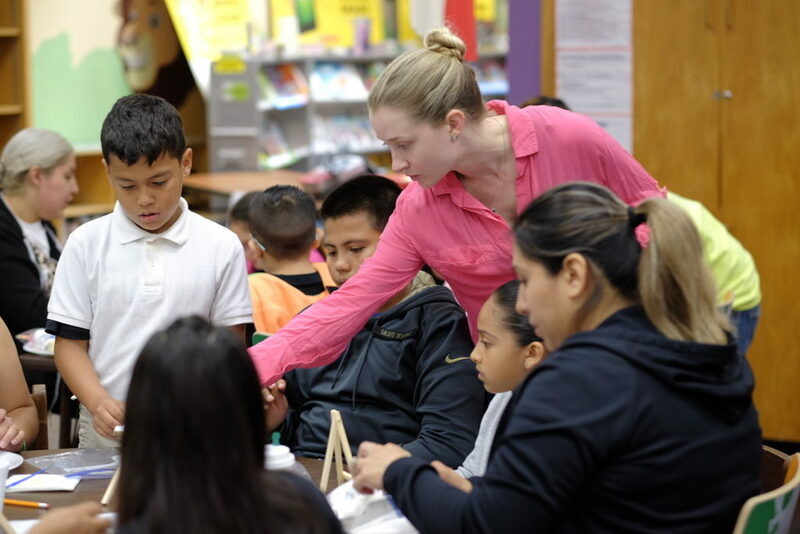 He is currently a teaching artist with the Thriving Minds and Learning Partners programs in Dallas ISD. 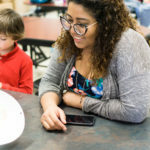 Education: Bachelor of Arts in Music Education from Louisiana Tech University in Ruston, Louisiana; Master of Music (Percussion Performance) from East Carolina University in Greenville, North Carolina.